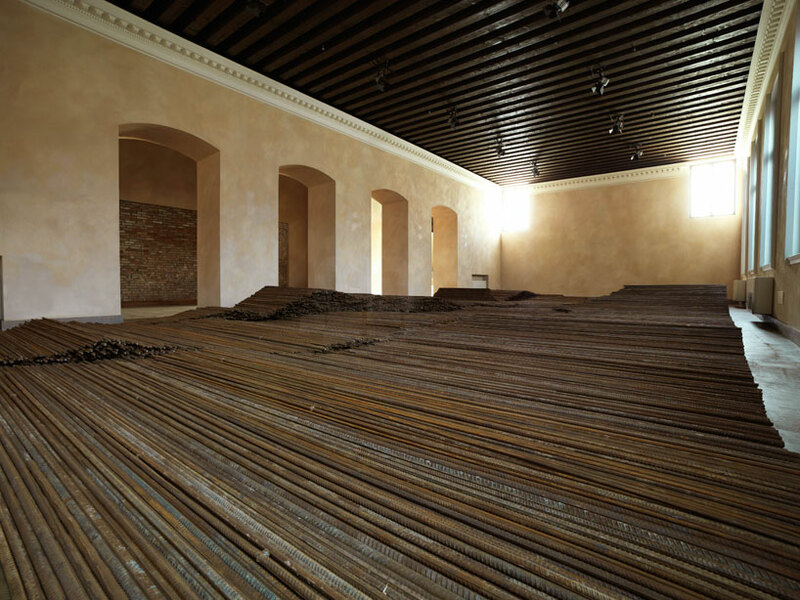 ai weiwei made headlines back in 2008 for his quest in recovering the truth about the number of student casualties that were a result of the sichuan earthquake that hit china — his citizen’s investigation was aimed at collecting the names of all the victims of the natural disaster, uncovering the truth about the chinese government’s corruption in trying to hide the actual facts. 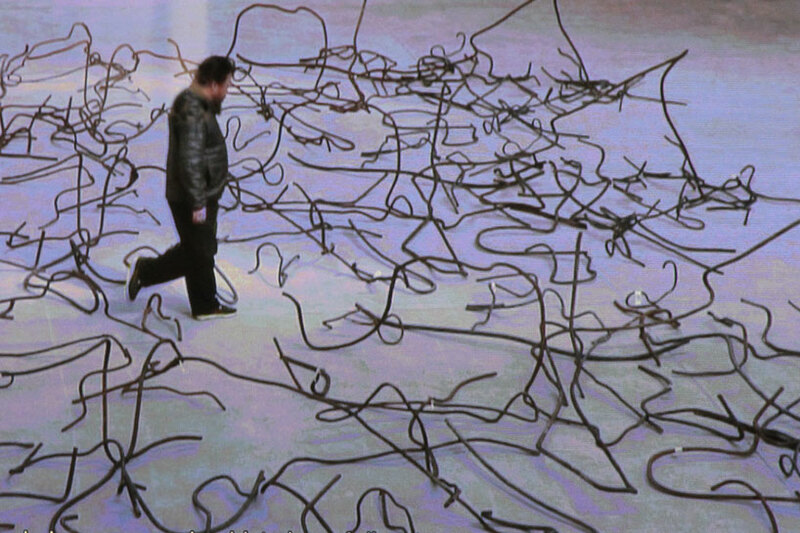 since then he has undergone much scrutiny by chinese authorities for his activism and was incarcerated for 81-days back in 2011 for his involvement. 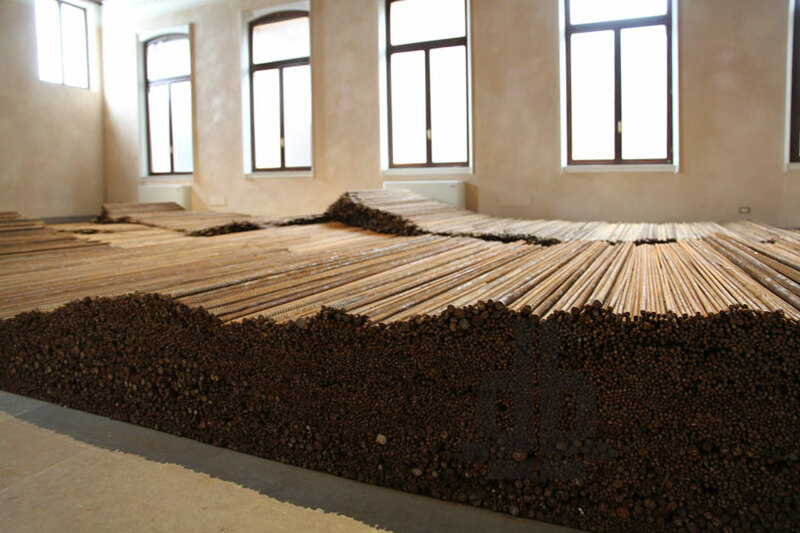 now, five year’s after the tragic event which took the lives of more than five thousand school children, ai weiwei presents his sculptural installation ‘straight’ at the 2013 venice art biennale. 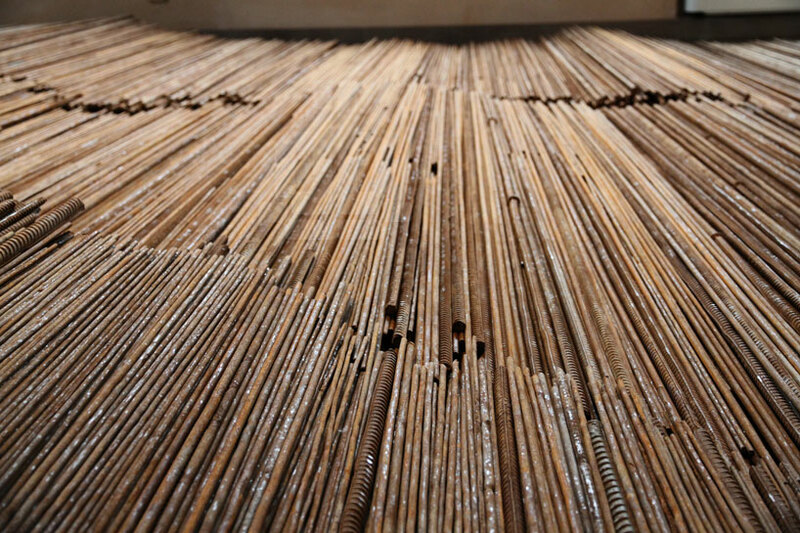 the work is composed of 150 tons of steel rebar which the artist recovered from the sites of the collapsed schools in sichuan following the quake. 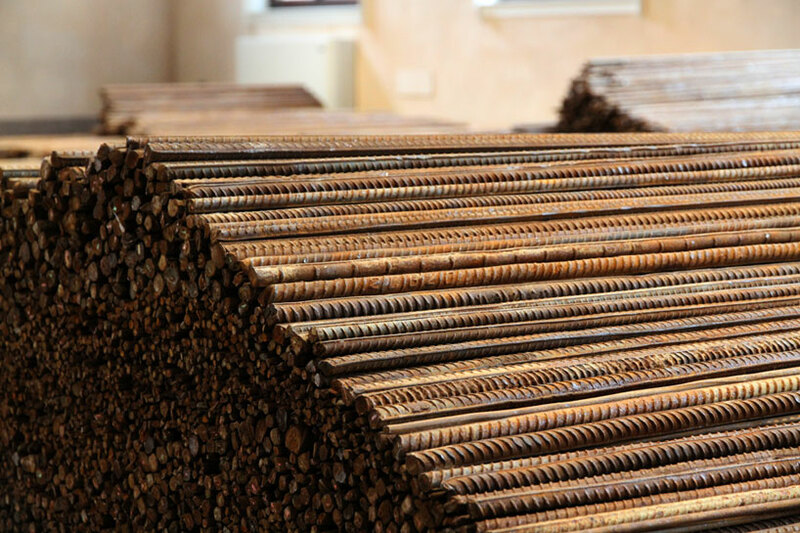 varying in diameter, ai weiwei has had all of the retrieved metal parts straightened as if new, and has arranged them in stacks, creating an eery landscape which immediately brings forth a feeling of somberness in memory of those whose lives were lost; the action of adjusting the pieces in a way metaphorically speaking of the artist trying to make things right. 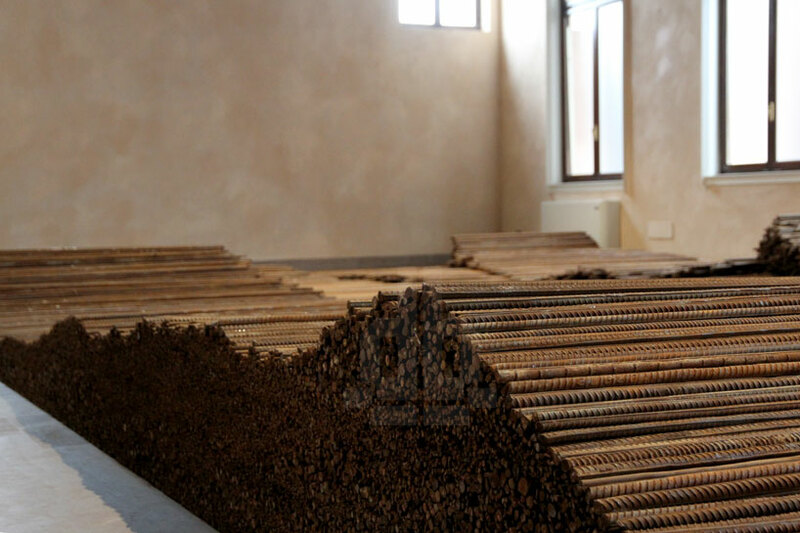 the work accompanies ai weiwei’s specially conceived ‘S.A.C.R.E.D.’ installation displayed within venice’s sant’antonin church, where he presents six life size dioramas that depict scenes from his 2011 detainment in detail. 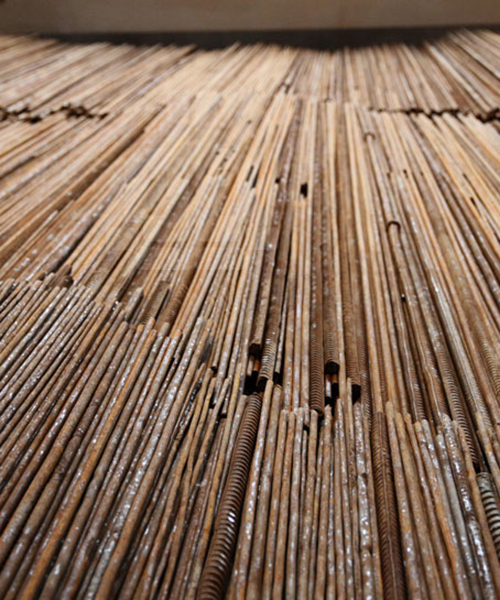 see designboom’s coverage of ‘S.A.C.R.E.D.’ here. 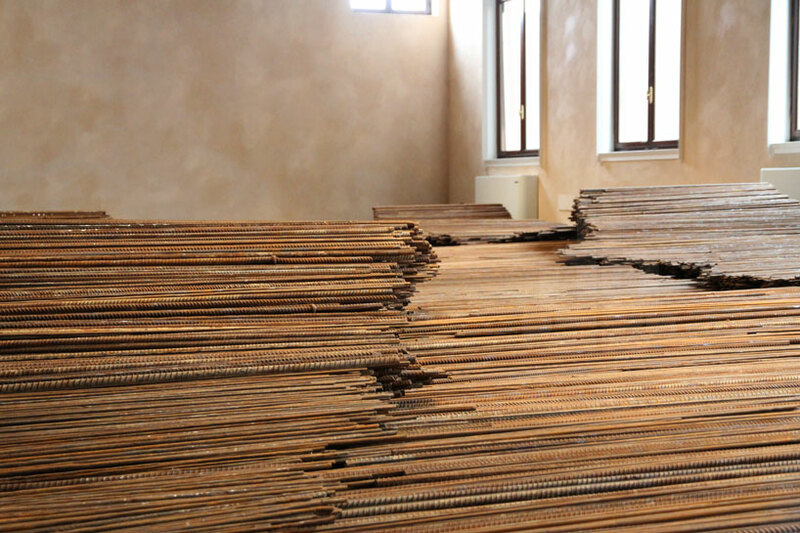 ‘straight’ and ‘S.A.C.R.E.D.’ are being exhibited with the zuecca project space and represented by lisson gallery as part of ai weiwei’s greater ‘disposition’. 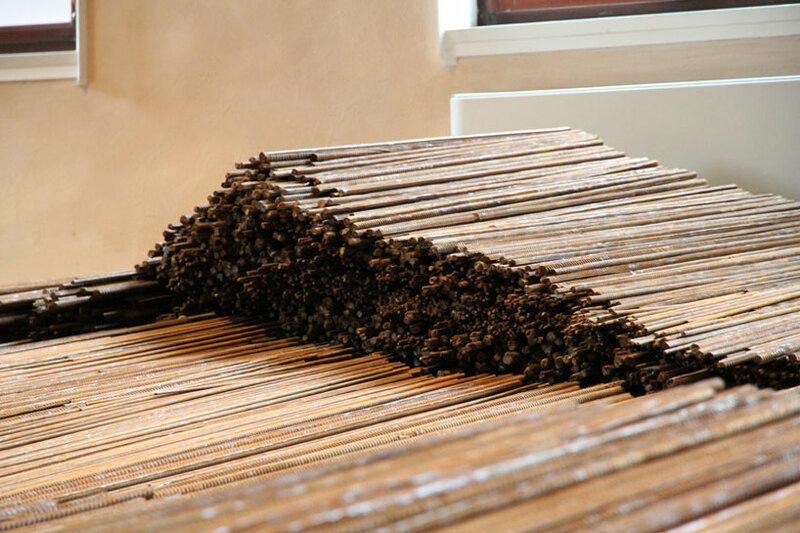 I had almost given up on Ai Weiwei because of his populistic media presentations, videos and one-dimensional installations, but here he strikes with an impressive piece of Art.